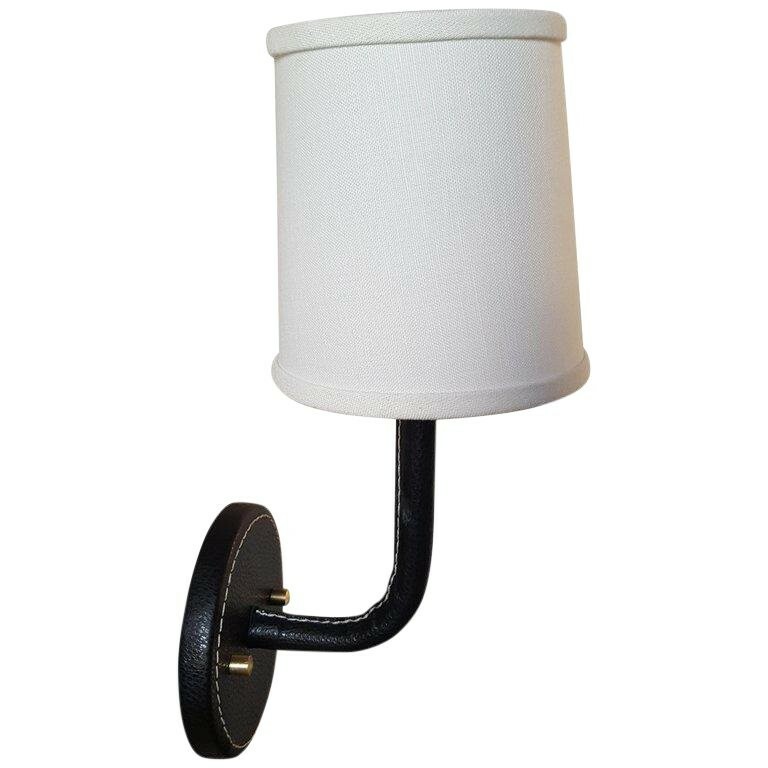 Leather wrapped Adnet inspired wall sconce in black, with top-stitched detailing. Top-stitching detail is on back plate and inner arm. Also available to order in brown or cream (refer to those product listings).